Reading Transport Fleet List: 516 has in fact been off the road since December/January with a blown engine. 512 is being repaired after being the victim of an engine fire whilst in the Burghfield area. Thanks to Brian Coney for this. Reading Transport Fleet List: 215 was rejected upon delivery and has returned to Irizar for rectification. 516 has been off the road since February. Thanks to Brian Coney for this. 460 has received partial Newbury Buses livery in the same way as 455, indicating that it is likely to transfer to Newbury in the autumn. Thanks to James Cusworth for this. Reading Transport Former Vehicle Fleet List: 241/2 passed to their lessors Arriva, Gomersall. Thanks to Brian Coney for this. Volvo/Wright demonstrator FJ04 ETY wears an all-white livery. First in Berkshire Fleet List: A correction is that only two further Citaros are due, not three. At least one is now reported to be at Slough in basic silver livery. 21090 (1550) transferred to Bracknell during March. Thanks to Brian Coney for this. Stagecoach South Midlands Fleet List: 18132/3 entered service on 26th. Thanks to Ralph Adams for this. 16514/17/18 are in reserve at Nuneaton. Thanks to Keith Wood for this. Stagecoach South Midlands Fleet List: 40127/28/35/37/38/39/41 have all been withdrawn from Leamington, and await disposal at Nuneaton. 40134/36/40/63 are also not in use at Leamington, but although none have yet been seen they may appear at Rugby. Thanks to Keith Wood for this. 13614/5 have been at Leamington since 17th, and are also joined by loaned 52143. Stagecoach South Midlands Fleet List: 16516 is on loan to Rugby. Thanks to John Hammond for this. Thames Travel Fleet List: Falcon YDX 104Y went for scrap some while ago. Thanks to Ralph Adams for this. Stagecoach South Midlands Fleet List: 18137 is confirmed as KX04 XJM, so the batch of Tridents should be 18127-37 KX04 XJB-H/J-M. 16440 has not lost its MegaRear (for Vauxhall Agila) after all. Stagecoach South Midlands Fleet List: 20559 has lost its MegaRear for the Bull Ring in favour of route branding, and 16440 for fleet livery. 16614/8 have further MegaRears for Stagecoach UniRider (female), and 16620 is another with a MegaRear for Stagecoach UniRider (male). Nine Optare Solos have been reported in the press as being on order for Nuneaton. Thanks to Keith Wood for this. KN04 XJF is confirmed as 18131, not 18132 and has 'now low floor' branding. 52037 has transferred to Banbury. First in Berkshire Fleet List: 23014 is YN04 AJX and entered service the same day as 23013. Plaxtons "20205/6" (705/6) were withdrawn the same day. The driver training fleet at Slough are actually outstationed First CentreWest vehicles, and as such are not owned by First in Berkshire. Thanks to Brian Coney for this. Stagecoach South Midlands Fleet List: 40140 and 40654 are in new livery. 20558 is another B10 with X17 route branding. Thanks to Keith Wood for this. First in Berkshire Fleet List: New is Scania Irizar YN04 AJU, fleet number 23013. At least one more of the three expected has also been delivered. Stagecoach South Midlands Fleet List: 20559/60/803/4 have received route branding for route X17. 20417/541 have transferred to Leamington, whilst 20542 has returned to service at Oxford. 16615 has a new MegaRear for Touchwood (like 16616's), and 16617 is another with a MegaRear for Stagecoach UniRider (female variant). 40126-8/34-41/63 all appear to be withdrawn. Thanks to Keith Wood for this. Stagecoach South Midlands Fleet List: The first two Transbus Enviro 300s are registered SN04 EFS/U. Thanks to John Hammond for this. 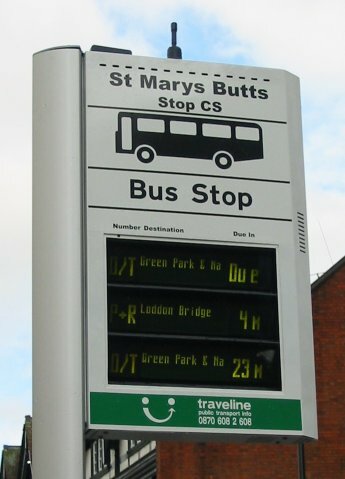 Contact Bus Zone: New page to try and cut confusion and spam in one go. All ordinary email links removed from site. 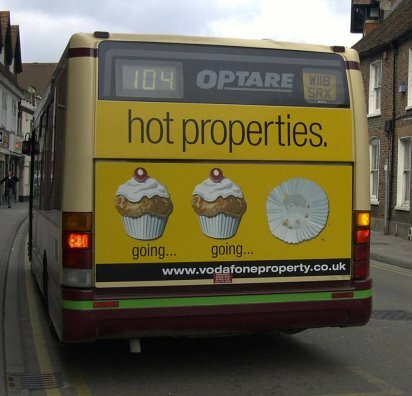 Reading Transport Fleet List: 118 has received a new MegaRear for Vodafone Hot Properties. Thanks to Brian Coney for this. 77-9 are going to continue in the Goldline fleet for another 12-18 from when then new OmniDekkas arrive, and 11/13 are going to become full time training buses from the same time. Thanks to Sam Simpson for this. Reading Transport MegaRears: Photo of rear on 118 added. Thanks to Brian Coney for this. First in Berkshire Fleet List: National fleet numbers added to the list, Slough vehicles carrying them by 31st March, but Bracknell vehicles still awaiting them. Stagecoach South Midlands Fleet List: From 1st March Stagecoach South Midlands has been split into two separate units - Stagecoach in Oxfordshire & Stagecoach in Warwickshire. The South Midlands region is however being retained for the purposes of the Bus Zone fleet list.